A glass of champagne in an airport lounge to start off the trip. Among the first to board the plane. The business class, which will keep me comfortable for the duration of the flight. A four or five star hotel waiting at the destination. New countries, interesting cities, friendly people, delicious food and cold drinks… and most importantly quality time with my wife-to-be. Travelling represents all of this and a lot more to me. It’s a way for me to really feel alive and enjoy life to the fullest. Escape the Mundane was created with this in mind. Yes, I will write a lot about quality, luxury travel, but it doesn’t automatically mean that it has to be expensive. Everyone defines quality and luxury themselves, so it can mean cheap, but delicious foods at a Japanese izakaya or perhaps the most expensive Kobe-beef in a Michelin starred restaurant. I write the blog myself, but my wife-to-be Tiia travels with me and helps me especially with hotel reviews by taking the best pictures and writing about her own opinions. This way we can provide a broader perspective to all of the readers. 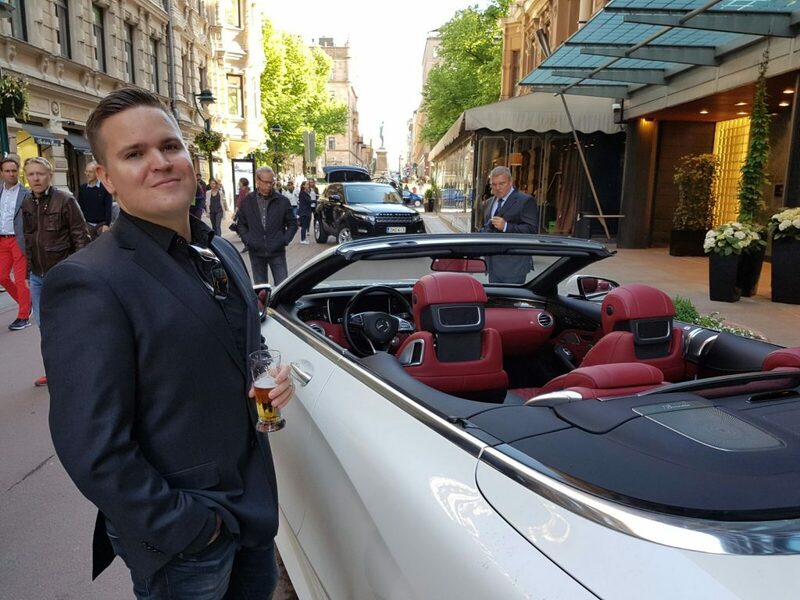 I’m a 26-year-old entrepreneur from Helsinki, Finland. Travel, food (especially Japanese), drinks (I looove champagne, G&T’s and cocktails), movies and self-development are important to me. The thing that carries me forward in life also causes quite large (financial) pressures in travel, and that is the fact that when I set the bar at a certain level, I won’t lower it anymore. Because of this after I flew my first long-haul business class flight in the Autumn of 2013 from Helsinki to Tokyo, I couldn’t turn back and travel in economy anymore. The same goes with hotels. If I get used to something, I’ll have the same expectations from other hotels in the future. Of course I can see all of the hotels as individuals, but my criteria won’t change. And hotels happen to be an extremely important part of the trip to me. I love city escapes and also lounging on a terrace in warm weather, but the most important part is that I get to discover my destinations by foot. I like to roam the streets and alleys of large cities, smell the scents, listen to the sounds and discover wonderful new places. On the way I might stop to have a drink or a lunch for great culinary experiences, but I might never stumble upon it after that. In a way you could say that my travels are a form of “getting lost” in a controlled way. So come and join me on my adventures and get lost with me! Some readers tend to think that it might even be wrong for bloggers to work with companies and tell about their products. On the other hand some like these kinds of posts. For me the most important part is that I’m open and transparent about collaborations. You will always see some form of “In collaboration with Company X” in the beginning of blog posts that have collaborations in them. I like to put the notification in the beginning so that all the readers can read the post with that in mind and not feel “cheated” when they get to the end and find out I have some connection to the company. On rare occasions I will only mention the collaboration in the end of the post if it has only played a small part in the actual post. Whatever the case may be, you can be certain about the following. I will only work with companies that interest me and I think will interest and benefit the readers. Also the product / service I’m reviewing or presenting has to be something I use or would use myself. In addition to all of this I will be honest in my blog posts about the positive aspects and also about the possible shortcomings of the product / service. Even a paid collaboration with a company doesn’t mean that my opinions are swayed one way or another, because the truth is all that matters to me, my readers and all who work with me.